We all know playing guitar is romantic. But isn’t it boring that every romeo prefers a guitar?? Why not something different and awesome to impress your birthday baby on his/her birthday. Wanna give a unique birthday surprise for someone special. 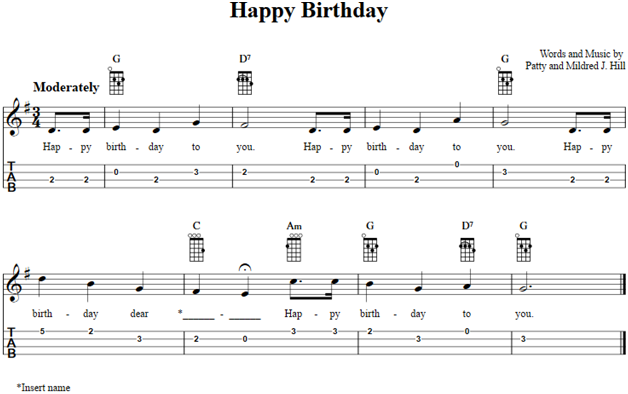 Then grab your ukulele and scroll down to learn how to play happy birthday ukulele chords in a jiffy. Did you know that no one actually knows who composed the Happy birthday song. Among several conspiracy theories, the one with some tangible evidence is that – a primary school teacher named Mildred Hill was the co-composer of a song titled “Good Morning to All”, which later on became the timeless hit – “Happy Birthday to you”. Another theory suggests that the song was published in a songbook 90 years ago with different lyrics. Nevertheless, Warner Music now has the copyrights to the entirety of the song thereby earning truckloads of money as royalty. 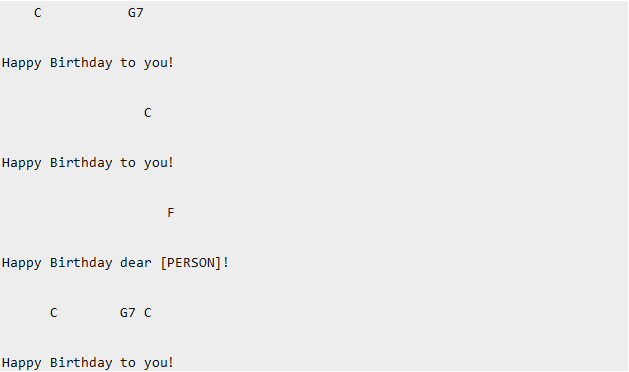 Don’t know how to read a tab or chord. Just follow the quick guide given below and become a pro! Like in standard musical notation, you must read a ukulele tab from the left to the right to find out when to play the notes. If two or more notes are to be played together, they are written on top of one another. The 4 lines shown above – A,E,C,G correspond to the strings of the instrument and the Numbers show you where to fret the strings (a zero means to play the open string). Each letter above the tablature denotes the root note of a chord, extra letters or symbols between the notes, indicate how to play them. 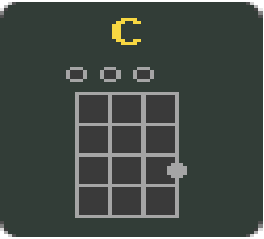 The name of the chord “C” is mentioned on top. While the horizontal lines are the frets, the vertical strings represent the four strings on the ukulele. From left to right you read it as strings – G,C,E and A. The dot in the grid tells you where to fret – in this case you have to fret A string on the third fret.